Adaptive cluster sampling (ACS) is a sampling technique for sampling rare and geographically clustered populations. Aiming to enhance the practicability of ACS while maintaining some of its major characteristics, an adaptive sample plot design is introduced in this study which facilitates field work compared to “standard” ACS. The plot design is based on a conditional plot expansion: a larger plot (by a pre-defined plot size factor) is installed at a sample point instead of the smaller initial plot if a pre-defined condition is fulfilled. 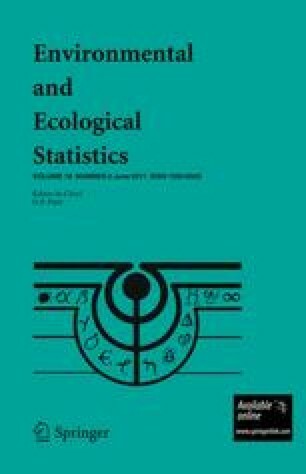 This study provides insight to the statistical performance of the proposed adaptive plot design. A design-unbiased estimator is presented and used on six artificial and one real tree position maps to estimate density (number of objects per ha). The performance in terms of coefficient of variation is compared to the non-adaptive alternative without a conditional expansion of plot size. The adaptive plot design was superior in all cases but the improvement depends on (1) the structure of the sampled population, (2) the plot size factor and (3) the critical value (the minimum number of objects triggering an expansion). For some spatial arrangements the improvement is relatively small. The adaptive design may be particularly attractive for sampling in rare and compactly clustered populations with an appropriately chosen plot size factor. The results presented here are from the research project KL 894/10-1 funded by the German Science Council (DFG). We gratefully acknowledge this support from DFG. Our sincere thanks go to Dr. Frantisěk Vilčko who shared his skills and experiences in computer programming for determining inclusion zones, to Mr. Tim Exner for his kind assistance, to Mr. Paul Magdon for his comments on the graphic presentation of the study results, and Dr. Yuancai Lei and Mr. Guangyu Zhu for their support to field work when mapping our real population. Furthermore, we thank two anonymous reviewers for their helpful comments.